Austin City Council has scheduled a Town Hall forum on October 24th at 6 PM at Austin Energy (721 Barton Springs Rd., Austin, TX. to discuss a Single-use Bag Ban in Austin. Mayor of Austin, Lee Leffingwell, will be in attendance with members of the Texas Campaign for the Environment (TCE) and members from Austin’s Resource Recovery Department. 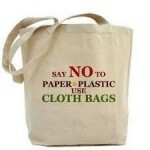 The public is encouraged to attend to show support of the single use plastic bag ban as well as a ban of paper bags. Austin would like to pass the ordinance and has been looking to cities like Brownsville, South Padre Island and Fort Stockton as examples. Brownsville’s ordinance includes paper bags in its ban and is saving an estimated 375,000 bags a day. Austin’s Resource Recovery Department has released a report showing the impact of plastic bags on residents by allocating $850,000 in plastic bag clean up from waterways, waste water systems and sewage systems each year. It not only makes environmental sense to ban single use plastic bags but it also makes financial sense. Reusable shopping bags are a much better alternative as many of them are made from 100% biodegradable materials such as jute, bamboo or organic cotton and last for years. Recycled shopping bags made from 85% recycled plastic bottles are better for the environment as well because of the durability ease of cleaning. 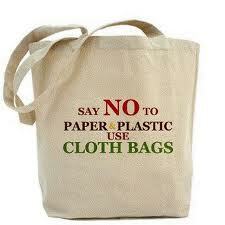 Single use plastic bags, and paper bags, are used for approximately 12 minutes, and then thrown away. Once they are thrown away, they never decompose. Please come to the Town Hall Forum on October 24th, at 6:00 PM at Austin Energy, located at 721 Barton Springs Road, Austin, Texas to show your support of this important issue. Lee Leffingwell, TCE and ARRD welcomes and encourages your attendance. Help make Texas’s capital a shining example for the rest of the state and the nation as an environmentally responsible city.